How do you know what will happen tomorrow? For your life is like the morning fog—it’s here a little while, then it’s gone. All of us share one thing in common – we are going to die one day. Love it or hate it, it will come true. Every complete sentence contains a full-stop. Death truly is the ultimate statistic for one out of one dies. 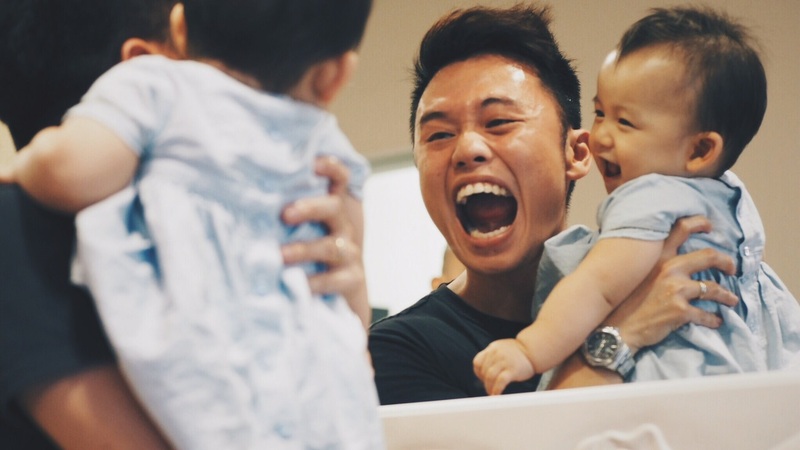 Incidentally, just over these couple of days, Singapore witnessed the sudden and completely unexpected passing of a 19-year-old Darren Ng at Downtown East. It saddens me greatly that such a tragedy has taken place and more so because the boy is so young and it was over such a trivial matter! Sigh… But it also reminds us all that the only sure thing about life is death. Morning mist is never seen in the afternoon; we’re here now but we can be gone tomorrow. However, sometimes we live like we’re going to be here forever but the fact remains – we’re not. Are you living to die or dying to live? I believe that once you learn how to die, you learn how to live. Let’s live our lives knowing that death is sure to come but that we have no idea when it’s going to arrive. It’s common to hear (young) people saying that they will serve God when they enter a freer period of their lives. Let’s face it – there will never be a season of life where you will be less busy than you are now. (Besides, you can’t even guarantee that you’ll enter that period.) After secondary school, you have tertiary education; and after that, you’ve got to build your career; then you have a family to start and raise… There’s no end to it. Are you going to wait until you’re dead before you serve God? If you want to do something for Jesus, whether it is in church or not, do it now. Don’t be presumptuous and think that you have tomorrow to serve God because tomorrow may never come! I was only afraid of death once in my entire life. And that was when I learnt about the hell that was presented in Haw Par Villa; it was actually the catalyst for my conversion to Christianity from Taoism. However, I don’t think the biblical hell is actually like that – I think it’s worse. That excursion made me ponder about death and honestly, my initial motivation to be a Christian was simply to escape this place called hell. I heard John 3:16 and I wanted eternal life because I wanted a ticket out of hell. Nothing else mattered. It was only two years later that I started to be serious about my faith. Whether you admit it or not, deep down inside you, you fear the idea of death. But I believer that it’s not death that we fear, but the judgment after death that we fear even more. Whether you’re a Christian or not, you instinctively know that you have to stand before a higher being (God) to account for your life. Generally speaking, there are two kinds of judgment. First, those who don’t know Jesus Christ will be cast out of the presence of God forever. They will go to a place devoid of God’s presence. And I think to be separated from God’s presence forever is a terrible, horrible and miserable thing. Every time I sin, I feel a temporal emptiness and I absolutely abhor it; I cannot imagine what life would be like if I didn’t have God’s presence. To me, an eternity like that is unimaginably painful. But when you are faced with the fear of death, you must remember that Jesus Christ has won over death and through Him there is eternal life. Our Saviour has saved us from eternal death! It is my prayer that regardless of how far you have drifted away, you return to Jesus and fall in love with Him all over again. The second judgment is for those who know Jesus; this is when you will meet God face to face and He will determine your heavenly reward based on what you have done for Christ. What would God say to you? Would He say, “Well done, thou good and faithful servant!” or would He say something else? You must remember that life is a question-mark and death is a full-stop. But I thank God that that’s not the end of it; this is where God’s grace enters the picture. He calls for us to constantly align ourselves to Him. In fact, that’s what James has resolved to tell us in the next three verses. Tonight marks the completion of my first year as a full-time minister in R-AGE and Grace AG. Three questions have dominated my heart in the last 24 hours. What legacy have I left behind? I am still in deep thought over these three questions. Actually, I have surprised myself by not asking, “What have I accomplished?”. I’d like to believe that it’s a sign of growth and maturity. I remember again tonight, that the Great Commission is not an assignment from God but an alignment to God. Many things have also come to pass in the last 365 days. I’ve decided to exercise introspection tonight to perhaps, attempt to recall three ministry highlights. There were many other moments which were hard to leave out – like the unforgettable PIERCE – but my choices were made based on what I wouldn’t and couldn’t have been able to do if I didn’t come into full-time ministry. It all began with a simple act of obedience – which is the highest expression of stewardship – to answer the calling that had brewed in my heart since I was a teenager. God has been marvelously good and gracious to me. And so I would also like to remember His many blessings in the past year. The three events have affected and reminded most me of His everlasting faithfulness in my life. Looking back at the year that has passed also allows me to look forward to the year that is to come. 2011 looks next to be one of the most eventful years of my life. Amongst many new events that will be added over time, here are three that I look forward to the most. May God will these to happen in His time and way. Not my will, but Yours be done, O Lord. Thank You for Your favour, grace, mercy and loving-kindness. I love You Jesus, deep down in my heart. this one’s for you, ‘O’ level students. Please forgive me for not being able to write as regularly as before; juggling a full-time job and a part-time education has been challenging. I’ve spent the best parts of the last few nights working on my assignment. I felt a sense of pride when I submitted it just now; not because I think it’s good, but because I think I have worked hard for it. I haven’t felt so driven about academia since I prepared for my ‘O’ levels. I told myself that for every assignment or project that I embark on, I’ll try to make it relevant to my job. It helps me to stay motivated as I know it will give me a greater insight into my work. I’m thankful that I was able to do that for this assignment; the task was to come up with a business plan for a communications company. And I found myself investing so much time and energy into it because I truly believe that it is a business plan that might actually materialise in days to come! I’m excited to receive my lecturer’s comments because I know the business plan will be further sharpened. Anyway, I am writing tonight not just to silence the days of silence, but to also share something I wrote when I was 18 years old. It was an article for Grace Pointer and I’d like to feature it tonight because I know the ‘O’ Levels are about to begin in a week! Nonetheless, you should read this if you’re sitting for your exams soon. Cherish your secondary school days while you still can. In retrospect, my days in the navy-blue and white of the ACS uniform will be penned down in my memory banks forever; that is because primary and tertiary education may never be as enjoyable as the secondary school days. Needless to say, your secondary school education plays a pivotal role in your immediate future – your ‘O’ level results point the way to your academic future. Back in Secondary 1 and 2, I was someone one would label “hate to love and love to hate”. I was a nightmare to my teachers, schoolmates and family members (they can bear witness to my horrendous testimony). On hindsight, my two years in shorts leave me in revulsion of myself. I would not be surprised if I had schoolmates and teachers waiting to stone me after school. Strangely, I was appointed class monitor, and it did not take too long for my classmates to boycott me, and that ultimately lead to me getting the boot. Ironically, I was appointed as prefect in Secondary 2. Unfortunately, the prefect master had to remove me from the prefectorial board due to my ailing grades. However, I scored exceptionally well in secondary 1 – I even qualified for an academic award. Alas, this diligent attitude did not follow through to secondary 2 and I managed to get 1st position in class, from the back! My grades progressively got from bad to worse in secondary 3 and I was close to getting retained! My walk with God was perpetually in fluctuation. I received Christ just ahead of my entry into secondary school and I backslid throughout secondary 1. In the earlier part of secondary 2, I was what one would term a “Sunday Christian”. I vividly reminisce being an angel on Sundays and hurling abysmal obscenities the day after. I rededicated my life during the 1997 Grace retreat and I embarked on a slow, excruciating climb back to where God has called me to be. Weeks prior to my ‘O’ level examinations, I was way behind my classmates. One of my regrets would unquestionably be the manner that I loafed in secondary school. That resulted in the doubling of my studying pains – I had to put in twice the effort to get identical results. My standards were so miserable I scored an atrocious 39 points for my preliminary examinations! But somehow, God had planned ahead for me – He assigned my uncle to Mission: Nearly Impossible. 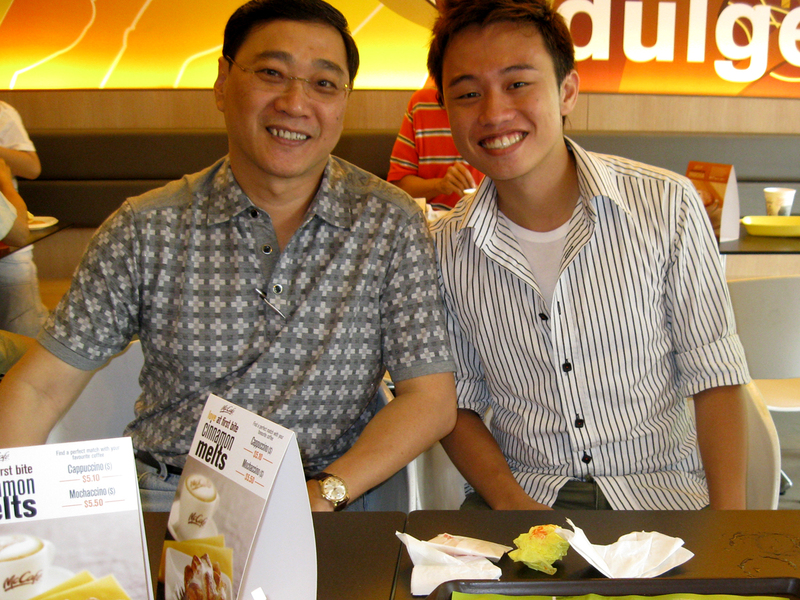 Prior and during the ‘O’ level examinations period, my uncle (AH) spent every other Sunday taking me out to lunch. On top of the free lunch, the advice he dispensed was invaluable; it proved to catalyse my rude awakening. “Joey, study as hard as you can, I don’t want you to look back and regret your efforts”, he urged. Those simple words got stuck in and never left my mind. Thereafter, I furiously pursued my books. I studied, day and night, night and day. Feel free to ask my mum or my sister how vigorously I studied. 15 minutes was all I took for meals, and then it was immediately back to my books. I had to master everything I failed to learn in 2 years, all in the short duration of 3 weeks! My room was literally sprawled with notes, worksheets and all varieties of paper. I’ve never used my brain this much in those four years. It was an anxious moment on the day when the results were released. To be honest, there really was not much meditation left to do because the papers were already marked. One’s prayers should be done before and during the examinations. Nevertheless, I uttered a final prayer, “God, please give me 12 points!” (That was the safe aggregate for qualification into the mass communication studies course) And God did! God’s grace allowed me to enter the course of my aspirations. I knew I deserved all of 12 points because I seriously studied hard. However, I am certain I will still come to terms with a score exceeding 12 points because I have already strived for my best. God desires for you to try your best. And I mean your BEST. In fact, that is the ONLY thing God asks from you in every aspect of your life – to do your very best. Young people, my advice to you is: STUDY LIKE MAD! Romance your books like never before! It would be tragic to receive your ‘O’ level results next year and then wail like a baby, wishing you had studied harder. It may seem hard to motivate yourself to study hard now, but I promise you it would be even harder to motivate yourself if you repeat. I almost did in secondary 3; but by God’s grace, I was spared from the anguish. To folks in the normal stream: you have to work just as hard, if not harder! Since when MOE said normal stream students were permitted to slack? Do not be disheartened by the extra year, turn the tables around and capitalise on the extra 365 days to score even better than the rest! There is simply no excuse to be sluggish and slothful. You must realise that if you do not study hard, it is YOU who will bear the consequences, not your parents, teachers, or your friends. Get my drift? Hence, study REALLY hard. Embrace your education; it makes the arduous process easier. There will always be light at the end of the tunnel; ensure your light shines for all to see (Matthew 5:16). Run towards your books; do not let them run after you. I am Joey Asher Tan, a 26-year-old Youth Minister with Grace Assembly of God Church, Singapore, since 15th October 2009. I was baptised as “Asher” on 23rd December 2005, and this Hebrew name represents, “Blessed, joyful and happy”, which is a befitting self-description. I am a Bible-believing Christian who desires to know God more by working excellently and learning earnestly through a balanced lifestyle, for the glory of God. I wake up every morning and thank God for allowing me to work in my dream job; I serve with “R-AGE” – it was there, as a 14-year-old, that my life changed. I am in the business of Redeeming A Generation for Eternity and I pastor around 100 young people in the Grace AG (Bukit Batok) youth community. I credit my decade in Anglo-Chinese School for a rudimentary education in confidence; it is stillwhere I’d school my kids, after all, for the best is yet to be. I am currently pursuing my Bachelor of Communication with Royal Melbourne Institute of Technology and I cannot wait to begin my theological education. I am confident I will be the world’s best father to my children and the best husband my wife could ever dream of; I’ve been blessed, so I shall bless. I consider myself immensely privileged to be able to say “I love you” to a girlfriend who is a constant reminder of God’s grace to me; I can’t wait to marry her. I started serving in church when I was 15 years old, when God told me that I’d be a worship leader; God anoints those whom He calls – ministry began there. I know I am built for the stage; I enjoy song-writing, performing and revel in taking the lead vocals – I delight in expressing myself and thrive in the limelight. I have childhood dreams like everyone, so one day I will study in Fuller Seminary, speak to a million people, travel around the world, meet my heroes, John Piper and Eric Cantona (plus Uzumaki Naruto in my sleep! ), and maybe even have a street named after me. I aspire to be a published author, sought-after speaker and recorded artiste (and of course, life-changer and history-maker) before I depart this earthly body.